This ring is made to order. The ring shown in the photos has been sold- the photos are used to show what these rings look like when complete. 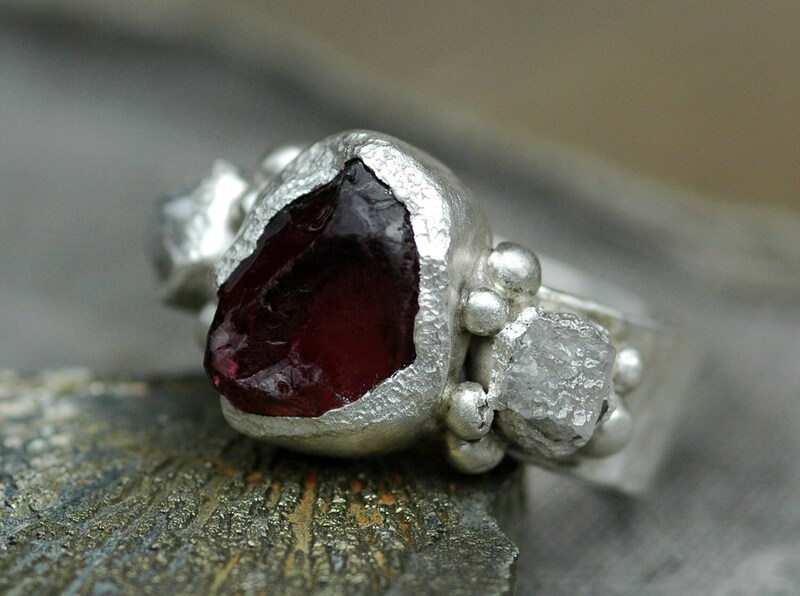 Your ring will be custom made for you using the rough garnet of your choice. I always send detailed photos of completed rings for approval prior to shipping, so you can see exactly what you are getting before it is sent to you. 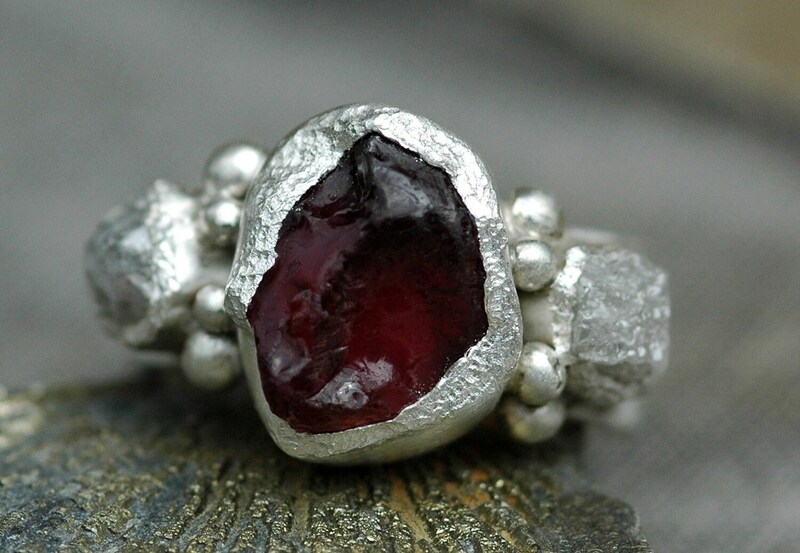 Want a different gemstone, narrower/wider band, gold, or any other variation on this design? Just ask- I hand build each ring in my studio, so most design changes are possible.